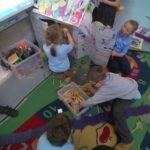 Room 7 have been very busy preparing for the nativity and Christmas! We have been spending some quiet time reading for enjoyment in class. Every Monday we go to the library and select a collection of books to put in our class library, this allows us to talk about books we do and don’t like. 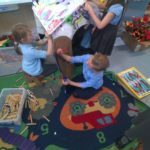 The children have also been taking time to decorate their ‘reading hut’ and making it their own!